CBD oil is undergoing a total change in character in the UK at the moment, and with products selling quickly in high street stores like Holland and Barrett, the natural hemp-based compound is no longer considered strange or illegal to take. In fact, the MHRA officially declared CBD as a medicine in the UK back in January 2017, but the sheer growth in popularity since then has been unprecedented. There are more retail options than could be imagined in the UK, and their availability in retail locations is pretty astounding. It’s worth pointing out, however, that in order to be sold as a medicine in the UK, CBD oil must have proper licensure with the MHRA. To get around this, most retail sellers are marketing their tinctures as “food supplements” rather than medicine, making sure to avoid any and all references to medicinal use. Using this legal “loophole,” CBD is able to be sold all over the UK, so it’s no surprise that there is such a huge range of options to choose from at the moment. However, the “food supplement” labeling has indeed caused a bit of a ‘double-edged sword’ effect in the sense that there are no regulatory committees to oversee the quality or purity of the products being sold. In other words, there are dozens of companies advertising “CBD oils” on the high street, when in reality the products being sold are nothing more than glorified olive or hemp seed oil, with virtually no therapeutic effect. With this in mind, how can you distinguish an effective, quality CBD oil from a bogus one? Which brand is the right one for you? These are perfectly legitimate questions, and are questions which have prompted us – after careful consideration – to put together a list of the top 10 best CBD oils in the UK. Each of the following products has been verified with independent laboratories for CBD content, and our reviews and selections have been based on potency, purity, effectiveness, cost, and overall value. Without further ado, here are our hand-picked selections for the best CBD tinctures currently being sold in the UK. Most of these products are manufactured from small, independent companies and are thus not available in high street locations like Holland and Barrett. As such, they typically need to be ordered online, though each one does provide shipping to residential locations throughout the UK. Provacan is one of those rare companies that has actual science to back up their reputation, rather than simply a range of excellent products. The company is closely linked with the some of the biggest names in Israeli cannabis research, and is in fact made by CiiTECH – a leading research establishment that is currently sponsoring two massive clinical trials at the world-famous Hebrew University of Jerusalem. Provacan CBD Oil, the CBD Oil produced by CiiTECH, is available in two simple bands: You can either purchase 600mg for £39.99, or 1,200mg for £69.99. The price has remained pretty constant throughout its product life, and it is notable for the sheer strength and intensity that the oil provides. Every drop of 1,200mg Provacan CBD Oil gets you 6mg of CBD, for example, allowing for an intense dose every single time. What’s more, Provacan sells their CBD oils with enhanced terpene profiles, meaning they have enhanced the content of their tinctures to provide a signature flavor and aroma. Additionally, as with most good CBD oils, Provacan products are full-spectrum, meaning you can access the therapeutic benefit of other cannabinoids within cannabis, rather tha just the pure CBD. This is vital for ensuring you get the maximum benefit from the active compounds. Provacan is not one of these companies that offers a huge variety of products. Though this might be initially disappointing, it simply means that they’ve focused their efforts on their specialty products. In addition to their signature CBD Oils, you can also purchase two types of CBD Topicals, a Skin & Body Balm with 300mg of CBD, and a CBD Massage Oil with 100mg of CBD. The Body Balm is excellent for self-application, allowing you to utilise the high dose of CBD within it to help establish healthy, supple skin cells. Also, the Massage Oil is a special product as it allows you to get someone you love (and doesn’t mind the strong smell of CBD) to give you a relaxing massage enhanced with the benefits of CBD Oil. These are both products that would be great for post-workout use. Directly contributes to research into CBD and its future applications. A firm with excellent company policy and high renown throughout the UK. Topical options allow you to apply CBD in an easy, relaxing way, without having to worry about the CBD taste if you’re not a fan of it. A limited selection of CBD alternatives. Hempura CBD is a company that prides itself on its UK presence, as well as its contribution to the EU economy. Entirely made with EU industrial Hemp, Hempura makes sure to keep the process behind their Cannabis products wholly within the confines of the EU, seeking to contribute to the economies of the UK and Europe as a whole. What’s more, all extraction and production is done within the UK, so when you buy Hempura products, you know you’re supporting a local company that will benefit the nation as a whole. Each bottle contains a total of 10ml, meaning Hempura’s products are designed for on-the-go use, allowing you to carry the small vial with you wherever you go. And as with most good brands, the CBD Oils sold by Hempura are Full-Spectrum. Another really nice feature of the Hempura website and online store is that it contains a lot of helpful instructional information that lets you learn everything you need to about how to take their CBD Oil. And of course, the quality of Hempura is perhaps the most important, as they stress the presence of additional Terpenes, Flavonoids, and other important Cannabinoid compounds that improve the quality of the CBD Oil. Lastly, Hempura CBD prides themselves on their excellent filtration system, allowing their CBD Oil to contain only the most useful and significant Cannabinoids while still maintaining their Full-Spectrum status. Like many retailers, Hempura CBD offers a wider variety of products than just CBD Oil. They offer a good amount of choice with regard to vape supplies, as well as the vaping devices themselves. Perhaps the best thing they sell (besides the all-important CBD Oil), however, is their white chocolates. Coming in incredibly strong strengths of 200mg, 500mg and 1,000mg respectively, Hempura White Chocolates allow you to get a melt-in-your-mouth, delicious chocolatey flavor, instead of the distinctive taste of CBD. What’s more, you can take these on the go, allowing to function both as a delicious snack and as a handy way to take CBD. Excellent filtration system ensures you only get the highest quality Cannabinoids. Besides their production quality, there’s not a huge amount of detail about their company ethos. Sold in sleek black packaging, CBD Life UK aims to offer a wide variety of different CBD products, all with stylish designs. Their company culture seems to be based around the idea of making the world a better place, so to that end they offer a healthy selection of ways to get involved with the company. However, it’s one thing to look nice, and another thing entirely to actually sell effective products. So how is their CBD Oil? 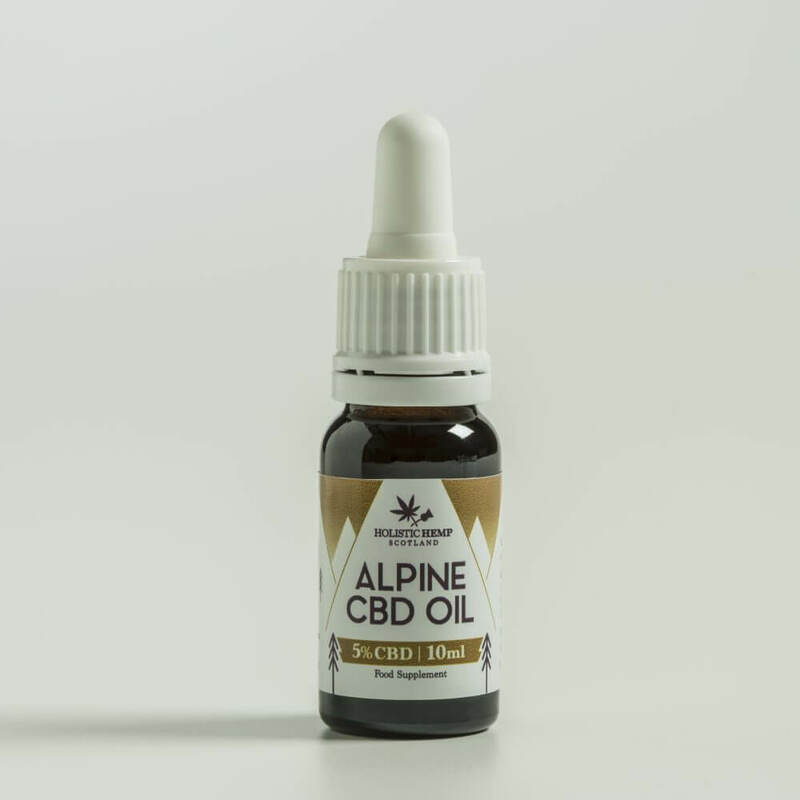 CBD Life UK offers their CBD Oil in two different ways, using an unusual method of application you might not find in other retailers. Both options provide 400mg doses, but are available as either Hemp Oil Spray, or Aqua Drops, costing £24.95 and £39.95, respectively. The Hemp Oil Spray gives you a way to administer the CBD Oil without the clinical feel or appearance of using the conventional droplets. By simply spraying directly onto food or under your tongue, CBD Life UK gives you more control than ever over your CBD application. The Hemp Oil spray is made using high quality extracted, extracted into MCT oil to create a powerful final product. As always, this oil is Full Spectrum, allowing for access to the complete range of useful Cannabinoids. The company recommends around 20mg of CBD Oil a day, which can be accomplished by roughly 2 or 3 sprays of the Hemp Oil Spray under your tongue. If you’re not a fan of the oil taste or texture that goes with the Oil Spray, you can use the Aqua Drops. Designed to be taken sublingually (under your tongue), these Aqua Drops are entirely water-soluble, offering you a more “clean” feeling way to take your CBD. What makes this a great option is that you can also add them to your drinks without that oily texture that normal CBD Oil usually contributes to liquids. CBD Life UK offers the widest variety of different products yet, including CBD Capsules to give you access to convenient, tasteless CBD on the go. Additionally, they sell over 14 different Vape products, including CBD Dabs, Vape Liquids, and the actual Vape Pens themselves. Perhaps strangest of all is that they sell actual CBD Life UK apparel; that’s right, you can actually put on your favorite CBD brand as a Hoodie and let everyone know whose CBD you imbibe! One very nice option is the Whole Plant Hemp Extract CBD Paste. This lets you directly ingest a concentrated paste of CBD, similar in a way to a CBD Dab, but without needing to smoke. This is applied using a simple applicator, letting you taste the intense flavor as minimally as possible. And, if all that still doesn’t seem right for you, they even offer CBD Gummy Rings, a cute way to chew your way to CBD medication. A pack of five 25mg CBD Gummy Rings costs only £9.95. These are also surprisingly nutritious, containing fortified vitamins and minerals to balance out your diet, as well as giving you CBD. Of course, they’re mainly sugar, so watch out for that. Huge range of different CBD products. Who doesn’t like Gummy Rings? There are a lot of additional ingredients within their Gummy Rings and Aqua Spray, which could people off that are looking for a purer CBD option. Elixinol sells a variety of other CBD products besides their world-famous Oils, which are probably more popular in the U.S. than they are than the UK. 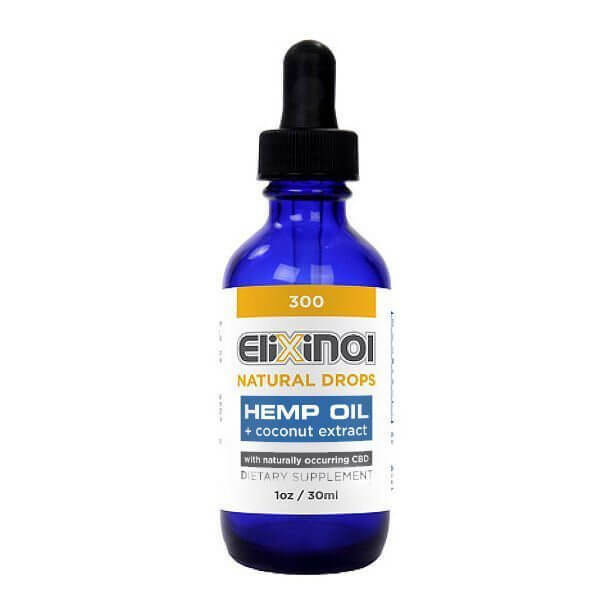 Unlike any other retailer on this list, however, Elixinol sells Hemp CBD Oil Liposomes. Liposomes are the new, revolutionary method of CBD intake, made using a different type of Lipid molecule as the suspension liquid. This makes it much, much easier for the CBD to be digested and absorbed into the bloodstream, unlike with simple CBD Oil made using Lipid fats like Coconut Oil. Additionally, they sell an X-Pen with 1000mg of CBD Oil within it, for easy administration. Just like the previous brand on the list, they also sell CBD Dog treats, so you can “reward” your dog using CBD in easy-to-use treats, while also training them to leave your stash alone. To round out their selection, Elixinol also sells Hemp Seeds and Protein Powder for consumption, letting you either enjoy a healthy, CBD-filled snack on the go, or give yourself a whopping dose of protein for bulking up. Unlike all other brands on this list, they actually sell Liposomes! Ordered from overseas (the USA) and have, sadly, been known to not be the best with returns and shipping issues due to international trading. Love Hemp advertises itself as the very best place to buy CBD in all the UK. The reasons for this is not necessarily due to brand quality, or even to a variety of products, but simply due to one thing: strength. Love Hemp’s CBD products are among the strongest available in the UK, and according to their information, they utilize a few different scientific methods to ensure that this is the case, including the use of C02 extraction as well as a rich range of Terpenes and other Cannabinoids to broaden their Full Spectrum tincture. Their CBD oils contain no illegal amounts of THC, which is usually the chief impediment to creating high CBD doses – to extract that much CBD, you usually get some THC alongside it. The fact that Love Hemp avoids this is a testament to the rigor in which they design their products. Also, Love Hemp is one of the few companies that actually uses Peppermint Oil as the inert oil to suspend their CBD Oil, rather than the more typical Coconut Oil or Hemp Oil. This gives Love Hemp products a distinctly minty taste, which accompanies the flavor of CBD surprisingly well. Considering its lovely taste, it is strange there aren’t more companies that do this! By far the most expensive on our list; their doses may be high, but so are their prices. Love CBD was once a small CBD supply store that was created before the world of CBD really took off, but since its rise in popularity, Love CBD has seen a huge burst of popularity. Now known as one of the best CBD retailers in the UK, Love CBD has excellent reviews on such sites as Trust Pilot, establishing them as a company with intense accountability and reputation. Their range of CBD products is also legendary; scrolling down the list of all their products takes absolutely ages. The other option is their Dutch Oil, which is made from entirely Dutch strains of Cannabis grown in Holland. They offer this as a separate option due to the apparent signature taste and quality of Holland Cannabis. While these are available only in lower doses, this is a great way to sample a variety of different types of CBD from different Cannabis strains. Additionally, their CBD is suspended in Olive Oil, one of the only retailers to offer this. Their use of Olive Oil is due to its distinctive taste, as well as its health properties. Love CBD prides itself on its attachment to healthy living, so its use of Olive Oil does start to make sense. Love CBD also offers a pretty typical range of alternative products, including a 100mg CBD Balm, as well as Capsule options for whichever type of CBD you prefer, Entourage or Dutch. Interestingly, they only sell high dose CBD products in their Entourage range; their Dutch range is seemingly capped at 500mg. They do also sell E-Liquids, available in either Sativa or Indica strains, letting you pick your preferred strain of CBD more precisely. This level of specific choice is a great thing to see in CBD retailers, as more consumer choice means more consumer knowledge and better self treatment using CBD. Interesting options regarding your strains; either Entourage or Dutch. Olive Oil inert oils, allowing you to get the taste of your Italian grandmother’s cooking when you take your CBD. Incredibly well-reviewed by consumers, Love CBD seems dedicated to making your CBD experience as wholesome as possible. No Edibles available, limiting your options to only the different Oils or just the Capsules for oral intake. The use of Olive Oil may be delicious, but some people have raised arguments that the increased amount of Trans fats isn’t good for long term intake of Love CBD’s oil. For the Gastronomic CBD user, Good Hemp is exactly the CBD company you’re looking for. Good Hemp is all about the health properties of the Hemp seeds themselves, dedicated to bringing you as many of the nutrients of Hemp as possible, in as many ways as possible. Their cooking products are laden with CBD and Hemp nutrients, giving you a great look into the full usefulness of Hemp. Hemp Oil and Hemp Drinks are their main products, calculated to allow you to both drink and cook with Hemp as much as possible. Good Hemp Oil is all about its use in cooking. Their store page is chock full of health informational tidbits, such as the fact that 1tbsp of Hemp Oil contains 94% of your daily recommended intake of Omega-3. This is vastly more beneficial than Olive Oil, making Hemp Oil one of the healthiest cooking oil options available. You can buy it in either 250ml or 500ml bottle size, costing £4.49 and £5.99 respectively. You use this oil just like you’d use sunflower oil or any other vegetable oil when cooking – you can mix it into salads, use it as cooking oil when heating meat or use it to flavor a stir fry. Good Hemp’s oils are 100% Hemp Oil, produced using cold press methods like any good cooking oil, but they do not, in any way, actually declare how much CBD they contain. This is a problem for the consumer because, though the focus isn’t on CBD dosage, there is going to be CBD within these seeds and the oils. By not listing the amount of CBD within the product, we simply don’t know what dose we’re taking, so we can’t then calculate how much we need to take as a supplement in Oil or Capsule form from another producer. Good Hemp Oil seems a great option if you’re looking to add Hemp and CBD into your diet when it isn’t specifically prescribed by your doctor, but if you’re looking to dose yourself with CBD regularly, this might not be for you. Excellent range of edible alternatives, allowing you to eat the seeds or drink their oils. Unlike other products on the list, Good Hemp is available for purchase in a huge variety of stores, including Waitrose. Hemp Botanics is a London based CBD company dedicated to progressing the cause of legal Cannabis in the UK. Made entirely with American Hemp, Hemp Botanics seeks to make CBD understandable and usable by everyone in the UK. Touting significant connections in the House of Lords, which they claim allows them more rigorous testing and access to the regulatory bodies behind Cannabis legislation, Hemp Botanics is interesting in its use of both foreign Hemp, but UK based scientific research. They frame their site’s aesthetics as quite similar to the NHS, attempting to give it a certain “important” feel. What’s most important, however, is their range of CBD products. When reviewing Hemp Botanics CBD Oil in particular, it’s a bit difficult because… they don’t have any. Instead of making their own signature brand of CBD oil, Hemp Botanics is actually a retail distribution chain that sells a variety of other, rigorously tested CBD Oil products from other producers. The actual main focus of Hemp Botanics is their “legal weed”; that’s right, you read it correctly Hemp Botanics seeds is perhaps the UK’s first legal weed in the form of their Hemp Flowers. The Hemp Flowers sold by Hemp Botanics have been bred to contain as much CBD as possible. The flowers are cut, dried and cured into a product extremely similar to conventional Marijuana buds. The chief advantage of Hemp Flowers is their versatility; you can smoke them, you can vape them, you can even cook with them (if you decarboxylize them first). The range of different Hemp Flowers is surprisingly huge, but that doesn’t stop the highest doses being sadly sold out. They sell their Hemp Flowers in either pre-rolled joints or as unrolled Hemp bunches, allowing you to smoke a ready-made joint or make one yourself. Their strongest variety, “Sweet Leaf,” is 23% CBD, giving you 230mg of CBD per gram of Hemp Flower. These Flowers contain no THC whatsoever, so you can actually smoke legal weed in the UK without actually committing a crime – no THC, no high. One of the most common uses for these Hemp Flowers is actually in brewing Hemp Tea, as the Hemp Flowers are surprisingly water soluble. This lets you make a delicious herbal tea with a high dose of CBD within it. They do also sell other CBD products produced by other manufacturers, such as tinctures and CBD Isolates, but the Hemp Flower is the leading product and is by far the most interesting. Signature Hemp Flowers offer a revolutionary way to imbibe CBD. The sheer variety of ways to use the Hemp Flowers is fantastic: brew a tea, smoke a joint or even cook with them! Only offering CBD Oils from other distributors can be annoying for those specifically looking for their tried and tested method of CBD application. Their site isn’t the best made, offering just an endless list of products with no easy classification. Holistic Hemp Scotland is dedicated to providing a homey, rustic feel to their customers, sourcing their Hemp from small, independent European farms. They seek to only use organic produce, avoiding any fertilizers or pesticides. What’s more, all their products are handpicked and individually dried, doing away with any industrial processes that might make it seem less appealing to those that love good organic produce. The purpose of these concentrates is to be able to Vaporize them, whether in a Vape pen or through an old-fashioned water pipe. However, Holistic Botanics isn’t just about CBD products. Nope, they also make textiles and construction materials! Holistic Hemp pride themselves on not just selling Hemp CBD products, but also on Hemp itself. Despite its usual assumption in today’s world, Hemp is actually a vitally important textile, used for a variety of industrial and commercial products. In fact, one of the most likely reasons for the criminalization of Cannabis almost a century ago was due to paper industrialists, who feared that Hemp’s rising use as a paper substitute would threaten their business. Holistic Hemp sources both Hemp fibers for industrial uses, as well as construction materials. This last one is perhaps most surprising, but Hemp is actually used as a binder mix in place of cement or other toxic chemicals. Sold as a useful insulation or wall thickener, Hemp as an insulation material is more economically affordable than common insulating materials, while also being a lot better for the environment. Though you might not be looking for industrial grade Hemp for building materials if you’re reading an article about CBD Oil, it’s still fascinating to learn more about the varied world of Hemp, as well as Holistic Hemp’s use of it. High quality, locally sourced products. Excellent paste with an improved taste and mouth-feel. When you buy Holistic Hemp’s products, you know you’re contributing to a better world for Hemp. Not a good variety of options for CBD products. What products they do sell are woefully low in dosage. Aura CBD is actually a bit of a cheat on this list, because they are both located in California, and also more well known for their sale of Vape Oils. However, they have a huge presence in the UK, as well as beginning to sell some of the best CBD Oil around. Aura CBD actually also sells THC precuts, but these are obviously not available in the UK due to legality, so certain products won’t be available in the UK. Their CBD Oil is Full Spectrum, but they pride themselves on their unique mix of Terpenes and additional Cannabinoids to make a truly unique experience. One nice thing about their CBD selection is the ability to buy their mini bottles in bulk, letting you save some money while also stocking up so you don’t have to make constant orders. Perhaps most interesting is their Turmeric Plus, MCT Cannabis Butter. If you’ve been around the health food world at all, you’ll recognize Turmeric as being the hit spice at the moment. Brewed in teas, frequently with cinnamon, Turmeric is becoming famous for its medicinal properties, as well as its distinctive taste. Aura takes this health craze one step further with some Cannabis butter flavored with Turmeric, allowing you to mix a scant quarter teaspoon into a hot drink to make a basic Turmeric tea that also doses you with CBD! The actual Oils and Cannabis Butter are made using Coconut Oil, a popular choice among CBD Oil producers, so expect that signature Coconut flavor when using Aura CBD products. More international brand than others on this list. There are a huge variety of different CBD brands available in the UK market since the semi-legalization of CBD as a medicine. Choosing any particular brand is always a difficult thing, but hopefully this Top Ten list will help you make the right choice. Not all of them are made entirely in the UK, but they’re all easily accessible for the UK consumer and sell high quality CBD Oils. So, pick your favorite! If you are just starting out and looking to tip-toe your way into the CBD industry Provacan would be an excellent place to start. They didn’t receive #1 on our top 10 Best CBD Oil list by sheer chance! Provacan sells one of the best UK products and is currently classed as the top CBD seller for 2018.